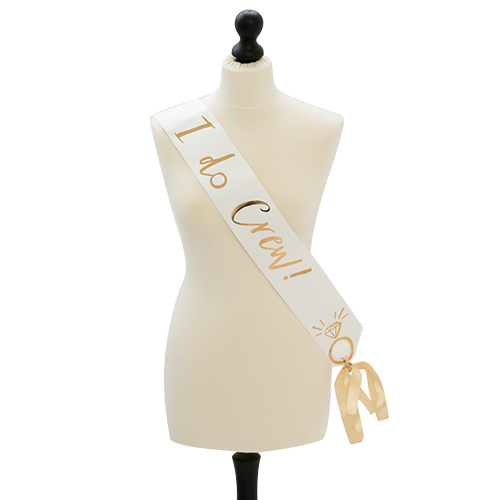 If you really want to form a bride tribe then you need to be wearing something which brings you all together as a collective and what better than a pack of these great Bride Tribe sashes? 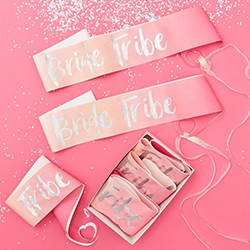 Complete with a beautiful presentation box, these six sashes are bright pink with silver foil text which stands out really well. 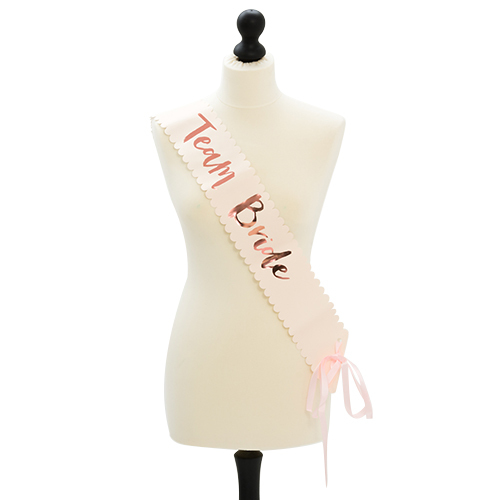 Rather than being stitched together these sashes come complete with a pink ribbon which you can use to tie them together. 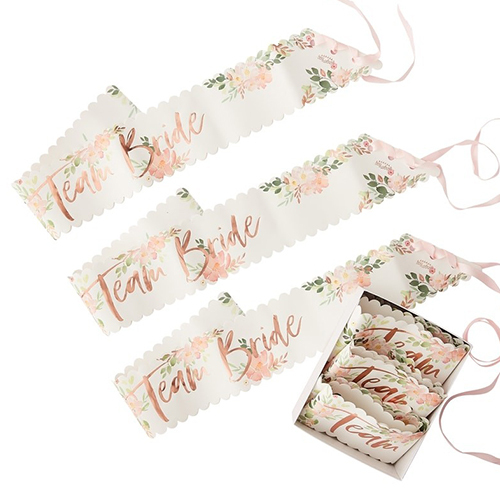 Made by the same people who brought out 2018's best seller, the pack of 6 Team Bride sashes, these are of the same high standard and again they come in a great presentation box and are part of the Bride Tribe range.